I honestly thought that World War Z was going to be a HUGE multi-million dollar embarrassment that only really served as a reminder to us horror film fans how stupid and greedy Hollywood continues to be. However, it was actually pretty good. 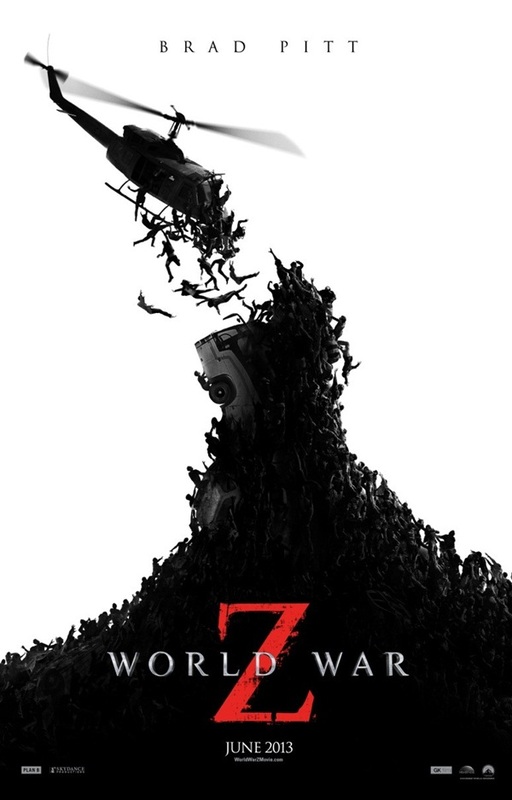 Hollywood is still greedy and stupid...but, World War Z turned out to be a serviceable film. It has been widely reported that this film has endured more than its share of problems before its June 21st release date. They re-shot entire scenes in March, for Christ's sake. The entire ending was dropped and completely remade and the release date was postponed from December of last year to its eventual June date. They also pretty much ditched the entire brilliant premise of the source material. So, I'm sure there will be fans of the book disappointed that this is nothing like what they read. Not to mention that trailer. So, needless to say....no one expected this goddamn thing to be any good. But, here we are. The film starts off with an epic scene where Brad Pitt and his wife get invaded by their pancake-hungry little daughters. It's actually a nice way to introduce us to the serenity of Gerry Lane's (Pitt) family home life...where the biggest drama is what to make for breakfast. It's briefly alluded that Gerry used to travel the world for the government and that he prefers quiet family time. Soon, however, the calm of family life is replaced by frenetic action as it's ramped up significantly from there. A zombie apocalypse is overtaking the world in a frenzied pace. And Gerry is literally plucked from the falling city of Philadelphia in which to save the world from imminent doom. It turns out that he is a United Nations special investigator forced back into duty. Kinda like John Rambo was in the Rambo: First Blood Part 2. The United Nations entrusts Gerry with the unenviable task of tracking the inception of this mysterious zombie virus sort of like Dustin Hoffman in Outbreak. 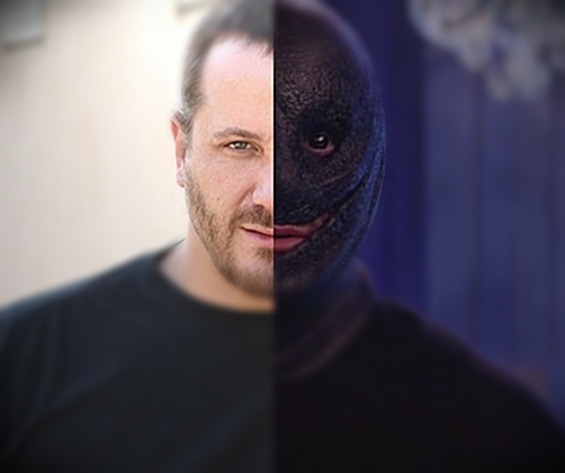 In fact, the film tends to just blatantly borrow ideas left and right from other films of its ilk. World War Z does manage to think of some genuinely good ideas, tho. Like the "zombie camouflage" idea as well as some really well thought out action sequences. Mireille Enos (The Killing) plays Gerry's wife, Karin, and while she is a fine actress in her own right, the chemistry never truly clicks whenever the pair are onscreen. Kinda like it's just not that believable that she could score herself a Brad Pitt. She even does her very best to kill him from thousands of miles away. The zombies are of the insanely fast variety. Even tho they still manage to be outrunable. It's the kind of thing where the convenience of the elements serve the drama of the story. Like, for example, Brad Pitt and co. can outrun zombies whenever they are being chased...but, the zombies in the film can create these epic waves of themselves by maintaining their superhuman-like speed. Or like when the brilliant doctor that the world is depending on to find a possible cure is suddenly unavailable and Brad Pitt has to find the cure himself. Things like that render the film dumb and clunky and constantly keep it from being the amazing zombie film that it so desperately wants to be. And yet...I thought the film to be insanely entertaining. 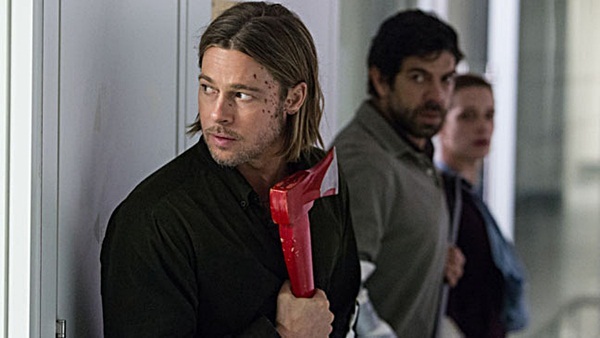 World War Z definitely goes from action sequence to action sequence at record pace. It manages to find its own identity within its nerve-wracking edge-of-your-seat moments, which the film has in spades. It ends up being a pretty good film in spite of itself. Even tho there is hardly any grue to be found and most of the zombie mayhem looks like a better version of the famously terrible I Am Legend CGI vampire/zombie things. Still, it's pretty goddamn entertaining. I mean...it is a 200 million dollar zombie action film, after all. In fact, there is an amazing film hidden deep within the zombie-filled airplane spectacle and the city-destroying mega zombie stuff. It's not until the third act when things come to a cinematic halt and the stakes are raised. I won't reveal anything...but, you know those video games where you have to cross a zombie-infested area in order to obtain the magical serum and you have to avoid all kinds of different obstacles and learn new moves along the way until you get to the final boss and you have to find what his weakness is in order to defeat him? You know those kinds of games? Well...the third act realizes that very feel and you are treated to an awesome tension-filled 20 minutes, or so, of really cool ideas and quiet action. It almost feels like this is the new stuff that they ended up shooting in order to save the rest of the film. And had the rest of the film been filled with cool stuff like this, we might've been talking about the best 200 million dollar zombie film of all time. World War Z is a surprisingly good film for having as many issues as it had throughout filming the goddamn thing. It is definitely a worthwhile big budget horror actioner worthy of your time. Is it the epic zombie film we've been waiting for? No. But, I wouldn't be surprised if the eventual sequel ends up being that epic zombie film we've all been waiting for. In the meantime, watch as Brad Pitt saves the world from a swarming teeth-chattering zombie apocalypse.